Welcome to this week’s Sailbrand roundup! This is the place to head for industry news, competitions and more as well as your starting point for what’s in season, products of the week and recipes to help with your specials board inspiration! There’s also our competition starting soon, so keep an eye on our Facebook, Instagram and Twitter pages as well as your specials flyers for more details. Don’t forget to keep checking back every Monday, as we will be adding new content all the time! And as always with Sailbrand, there is someone to answer your calls 24/7, so don’t hesitate to get in touch with one of the friendly team with any and all enquiries, orders, or just for catch up about the catch of the day! 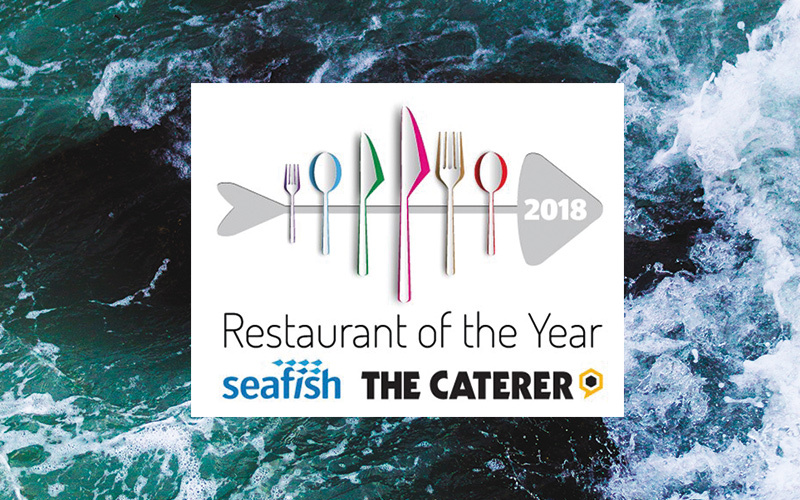 Caterer and Seafish Announce Seafood Restaurant of the Year Competition. 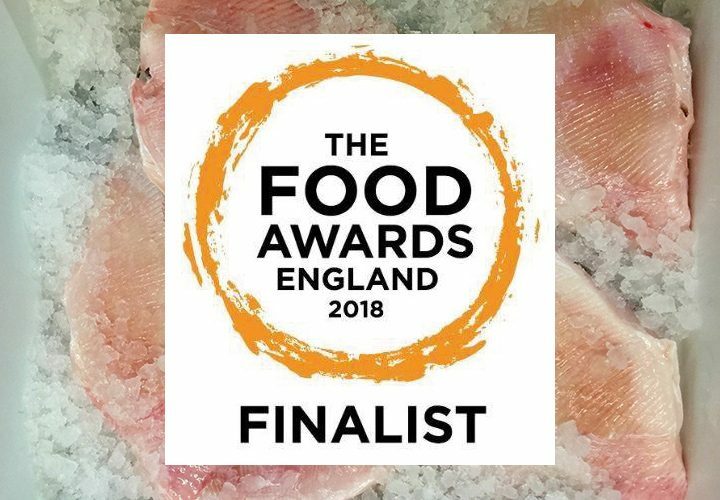 The competition is open to all UK restaurants (that include fish and shellfish on their menus) and will seek out restaurants and cafes and other eateries that are demonstrating both excellent examples of the cooking and serving of fish and shellfish, and evidence of fish and shellfish knowledge. Entries have been extended, so you still have time to click the link and get cracking on! Tag us on social media with your entries and we will share your food photos with our community! What’s in Season This Week? 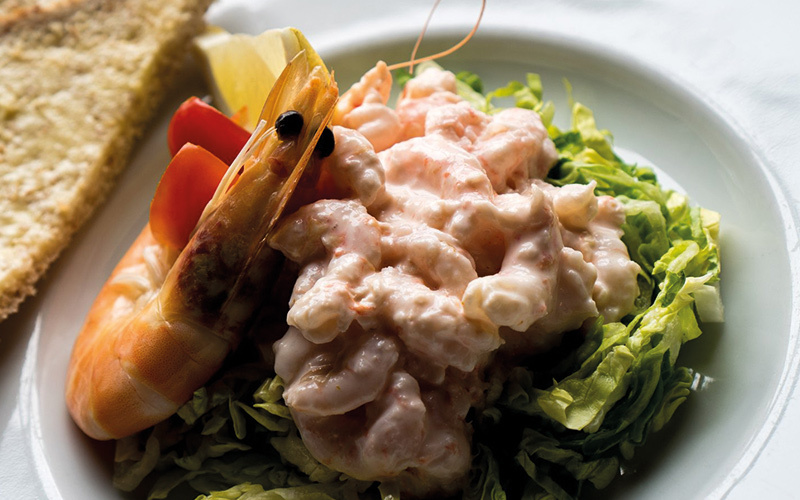 Affectionately known as dustbin lids by fishermen, this is undoubtedly one of the kings of the sea. Although pricey, the best value Turbot can be found early summer as the fish begin to move as the sun starts shining. They are not on the list of restricted landings, so can be enjoyed by your customers with a healthy conscience and pair excellently with late spring/early summer vegetables and off-dry, mineral white wines. Brill, Mackerel, Gurnard, Hake, Lobster, Plaice, Monkfish, Oysters, Scallops, Mullet and Sole. 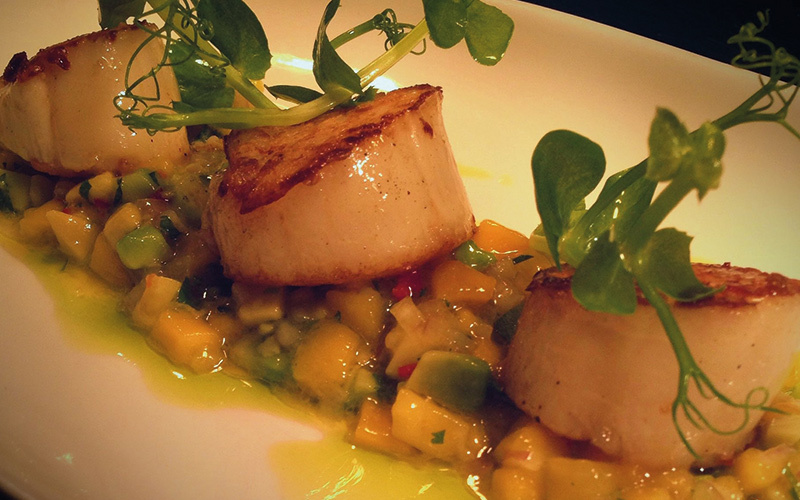 A winner on any specials board, this dish combines the sweet, richness of a caramelised king Scallop with the fresh zing of a crunchy, slightly spicy salsa. So easy to do and a great luxury item to offer your customers, Sailbrand can provide you with a range of Scallops, including diver sought in the shell and ready cleaned, prepared white Scallop meat. Call today to talk to one of the friendliest team in seafood! To make the salsa, combine all ingredients and check for seasoning. Keep in the fridge ready for service. Heat a frying pan until very hot and season the scallops with oil and salt. Fry on one side for 90 seconds until well caramelised, then flip over and finish until just cooked. Place the scallops on top of the salsa and add the pea shoot tendrils for freshness.